Today, Canadians from coast to coast to coast mark the 102nd anniversary of Vimy Ridge. On April 9, 1917, Canadian soldiers launched their attack at Vimy Ridge. It was the first time that all four divisions of the Canadian Corps fought side by side as a united force. The days following the initial attack were a demonstration of the brutality of war and the extraordinary heroism of our Canadian troops. 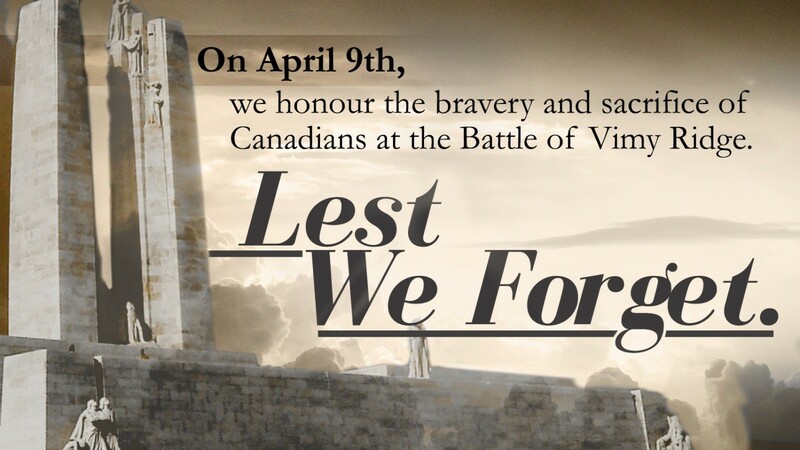 While the capture of Vimy was a remarkable victory, it came at great cost: nearly 3,600 Canadians lost their lives, to secure our peace and freedom. Today, we remember and pay tribute to the tremendous courage and sacrifice of our men and women in uniform who fought so vigilantly in this historic battle. And, we honour all of the heroes who have kept and continue to keep our country safe.